Plus, we spoke to a "Brides" editor on the best tips to avoid any snafus. Though we&apos;re in the thick of wedding season, chances are there&apos;s a bridal party somewhere out there shopping for their dresses right now. And with the industry being driven by an influx of Instagram-driven, Pinterest-minded millennials, brands and retailers are steadily adapting and offering more choices than ever, whether it&apos;s through e-commerce or brick-and-mortar. According to Brides Fashion Market Editor Sophie Moore, the best brands are the ones who are prioritizing both avenues of retail. 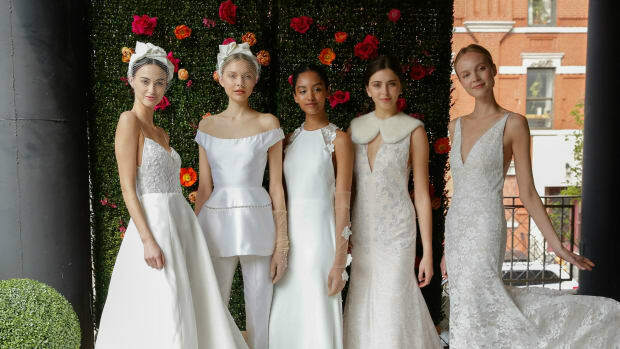 "The bridesmaid industry is doing a great job looking to ready-to-wear and evolving that way," says Moore, in addition to pointing out the cold-shoulder silhouette, velvet and jumpsuits as some of her favorite bridesmaid trends this year. And as weddings are becoming more personalized to each couple&apos;s tastes, so is the option for bridal parties to experiment more with their dress choices. Another theme that Moore has noticed over the years is the idea of mismatching — choosing different styles or colors but still sticking with a theme or color tone. "If you offer that to your girls, they&apos;re likely to find something that they like and feel comfortable in," says Moore. Customization has also been a growing option among bridesmaid dresses (and wedding dresses, too). "That&apos;s another way of making them feel included and making your bridal party feel unique." The best way to approach dress shopping while avoiding any disastrous bridesmaid experiences, suggests Moore, is to start doing research — from picking up a bridal magazine to creating an Instagram collection or Pinterest board — as well as keeping the bride&apos;s aesthetic or color scheme top of mind. As for where to shop for bridesmaid dresses? 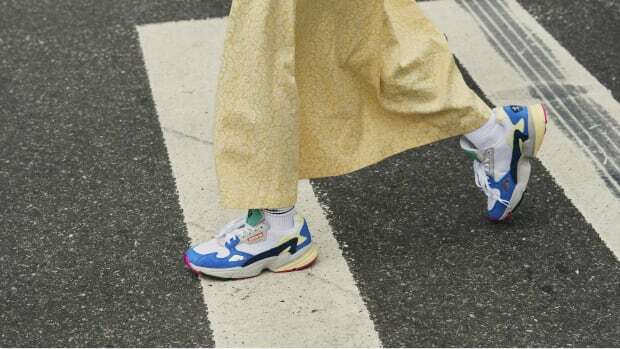 Read on for 13 editor-approved brands and retailers to check out now. We&apos;re big fans of Fame & Partners for its easily customizable options for almost all of your wardrobe needs. (In fact, it&apos;s the world&apos;s first mass-customized contemporary womenswear brand.) The company launched its bridal collection last year and followed up with its bridesmaid offerings in January, the latter of which boasts more than 30 different dress styles you can tailor to your own style, from color and fabric choice to certain design details. Reformation has a knack for vintage-inspired, Instagram-worthy dresses, which makes the sustainable Los Angeles brand a go-to choice for bridal parties hoping to achieve a sense of laid-back glamour within their wedding aesthetic. While there are plenty of solid choices for any color palette, we recommend opting for a printed number you&apos;ll likely wear again (and again) in the future. Trust us when we say that you shouldn&apos;t sleep on Asos&apos;s bridesmaid selection. Sure, the U.K. mega-retailer&apos;s inventory is geared toward trendy, everyday wardrobes or affordable, stylish workwear, but its bridal line is stacked with designs that cater to a range of body types — maternity, plus, petite and tall — and you can browse the rest of the site to complete your entire outfit for the big day. It turns out every influencer&apos;s favorite online shop can actually outfit more than just your summer travel plans. Some of Revolve&apos;s top brands are curated to make up its Wedding Shop. Think evening gowns with form-fitting silhouettes, thigh-high slits and cold-shoulder necklines. A bridal shopping roundup wouldn&apos;t be complete without BHLDN. The brand that&apos;s affiliated with Urban Outfitters, Anthropologie and Free People has built a business on providing ethereal dresses to the masses. Some perks: You can shop online or book an appointment at one of its showrooms; items that don&apos;t suit you are easily returnable; and you can order for the rest of your look, too, such as lingerie, shoes, accessories and even wedding gifts. If you&apos;ve seen a bridal party with sparkling, sequin gowns, chances are they&apos;re by Adrianna Papell. The longtime eveningwear brand is known for its beaded designs, so if you&apos;re looking for something that&apos;s high-glamour — think "The Great Gatsby" and Art Deco — then this is your best bet. If you&apos;re looking for a dress that you likely won&apos;t see on another wedding blog or Pinterest board, then check out Christy Dawn. 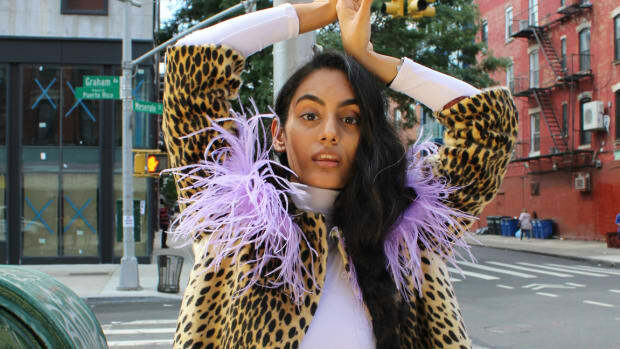 The sustainable designer from Los Angeles uses deadstock fabrics to make her limited-edition designs, which means only a select few can get their hands on her pieces. (Some of her bridal collection is already sold out.) We imagine seeing these breezy dresses at a Boho-style outdoor wedding. Having launched her first collection of bridesmaid dresses in 2002, Jenny Yoo is a bridal industry guru, and her modern-day designs are proof. You can choose a gown in a number of lush fabrics — chiffon, tulle, crepe, lace, etc. — or create your own look by matching different separates. Don&apos;t skimp on the sales section, either. You just might find a dress you love with a generous discount. Bridal industry veteran Bill Levkoff has devoted more than 70 years to creating bridesmaid dresses, resulting in a prolific collection of traditional styles. The same goes for colors from which to choose. If you have the freedom to pick any dress you want while sticking to a particular range of shades, this is a solid place to start shopping. A major concern among most bridal parties is budgeting. From bridal showers to bachelorette parties to everything else in between, costs can quickly add up. Luckily, Birdy Grey&apos;s M.O. is to keep all of its bridesmaid dresses under $100. Phew. While we&apos;re on the topic of affordability, Morning Lavender is also another option for budget-friendly bridesmaid dresses. The brand prides itself on providing decidedly feminine pieces, like flowy chiffon gowns in pastel hues to a lace-top-and-tulle-skirt combo. Plus, the website shows reviews on each design from previous purchases, along with pop-up notifications of items that were recently bought. This retailer is a tip from the editors at Brides for its expert combination of storefront locations and online selections. There are plenty of showrooms for bridal parties to check out in person, especially along the East Coast, the South and in the Midwest, as well as nearly 25 designers that are available for you to browse through on its website. You&apos;ll likely find a dress that will suit every bridesmaid&apos;s needs. Young designers and brands are noticing a lack of novelty in the outerwear category.